The load and playback commands are located in the top menu. Each command is described in this section. This section describes the File menu commands. This command opens the Load Playback dialog box where you can select one or more images to load in the player. 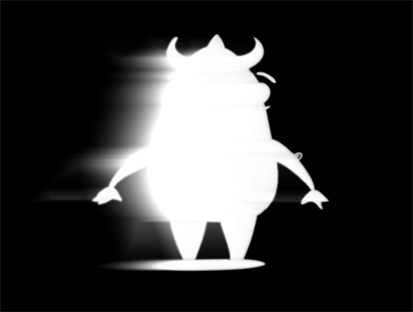 If you are connected to the Database, this command opens the Database Selector window where you can select an image sequence to load in the player. This command opens the Load Playback dialog box and indicates which frames are loaded. You can select which frames you want to reload. 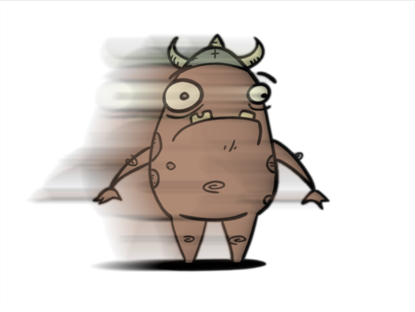 Use the Reload command to load frames that are currently opened in the player and that were modified since they were loaded. This command opens the Unload Playback dialog box and indicates which frames are loaded. You can select which frames you want to unload. This command exits the application. On Mac OS X, this command is located in the Mac OS X Play menu. This section describes the View menu commands. This command zooms in to the loaded images to view them closer. In lower right hand corner of the interface, you can see the relative zoom level compared to the image’s original resolution. This command zooms out of the loaded images to view them smaller. In lower right-hand corner of the interface, you can see the relative zoom level compared to the image’s original resolution. 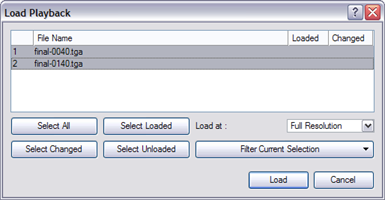 This command opens the Loaded File Properties dialog box. This displays the format, path and resolution information of each loaded image. This command displays the images in normal mode with all their colours. This command displays the image’s matte, also known as the alpha channel. All transparent zones are displayed as black and all fully opaque zones are displayed as white. Zones that are semi-transparent are displayed as grey. This section describes the Play menu commands. Use the Enable Sound command to include the soundtrack during playback. This command is only available when the application is launched from Harmony. Use the Enable Sound Scrubbing command to listen to your sound frame-by-frame. This command is only available when the application is launched from Harmony. Use the First Frame command to set your current frame to the first frame of the loaded image sequence. The Go to Frame command sets your current frame to any frame you input in the Go to Frame dialog box. The Last Frame command sets your current frame to the last frame of the image sequence. The Next Frame command sets the current frame to its following frame. 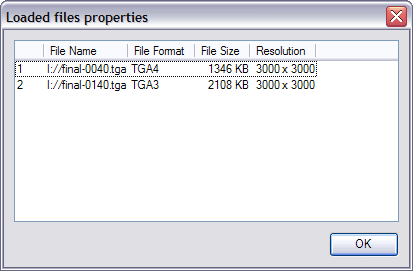 The Previous Frame command sets the current frame to its previous frame. Use the Start Frame command to control the starting frame of the playback range. Use the Stop Frame command to control the end frame of the playback range. The Loop command repeats the scene when it reaches the last frame during playback. The Play Scene Backward command plays the animation from the current frame to the first frame. The Play Scene Forward command plays the animation from the current frame to the last frame. The Playback Speed allows you to change the frame rate of the playback. Use the Stop command to stop the playback. This section describes the Help menu commands. This command opens the Toon Boom Online Help where you can find useful indexed and searchable information on the operation of the Toon Boom Play module. This command opens the About dialog box providing information related to the application version. On Mac OS X, this command is located in the Mac OS X Play menu. This section describes the Mac OS X play menu commands. Note: This menu is only available for the Mac OS X version. On Mac OS X, this command is located in the Help menu. This command exits the application. On Windows/Linux, this command is located in the File menu.